Digital cross-border payments company InstaReM has closed its series C funding of $58 million, bringing its total fundraising to $59.5 million. The latest round for InstaReM was led by Singapore’s Vertex Growth Fund and supported by Atinum Investment, a leading venture capital investor in South Korea. 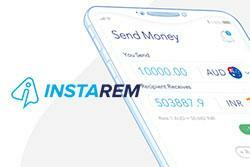 The funds will be used by InstaReM to extend the Visa-powered cards platform to fintech companies in Australia, Hong Kong and Malaysia looking to be part of Singapore’s payments and remittance ecosystem. The company allows access within four weeks, compared to the current nine months to acquire a license and develop the infrastructure. InstaReM plans to introduce a new multi-currency card to help consumers save on foreign exchange conversion rates and high charges on expenses when travelling. Co-founder and chief executive Prajit Nanu said that the company’s goals were ambitious but had the support of their investors. “Our primary focus is to make moving money internationally, faster and more convenient for our customers. We’ve built a good relationship with existing investors, and it means they have a lot of confidence in what we’re doing. Our goals are quite ambitious, and they support that,” he said. The company is planning on expanding to Latin America while also increasing staff in its London and Seattle offices with a potential IPO in 2021.